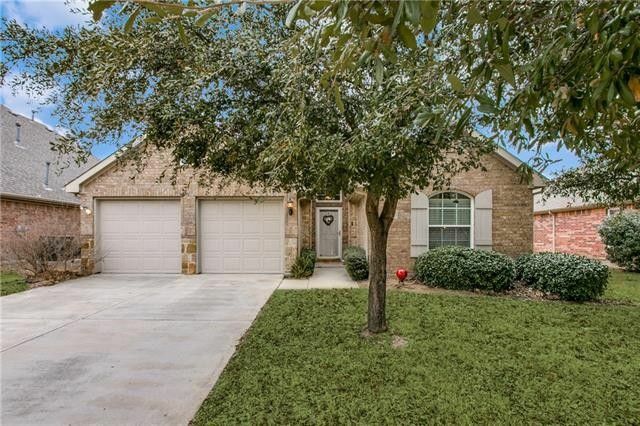 Wonderfully updated single story brick & stone home offers 1,963 square feet, three bedrooms + study, large family room & a relaxing sunroom with a view of the backyard. The stunning granite on the wrap-around breakfast bar & island accents the woodlike flooring & rich wood kitchen cabinets. Family room, kitchen & breakfast area are all open! The formal dining area is open to the entryway & the big kitchen. All bedrooms are separated for privacy & the master bedroom overlooks the back yard. Private study area or sitting area off the master suite. Master bathroom has a separate large shower, oval garden tub & spacious walk-in closet. A 20X12 covered patio & a 12X12 open patio offer private outdoor living space for entertaining! Directions: Off Teasley Lane, turn onto Miranda. Take immediate left onto Bonita, and immediate right onto Redondo Rd. The home is on the right. Look for sign in the front yard.